IRS 2014 Section 179 Deduction Up to $25,000. 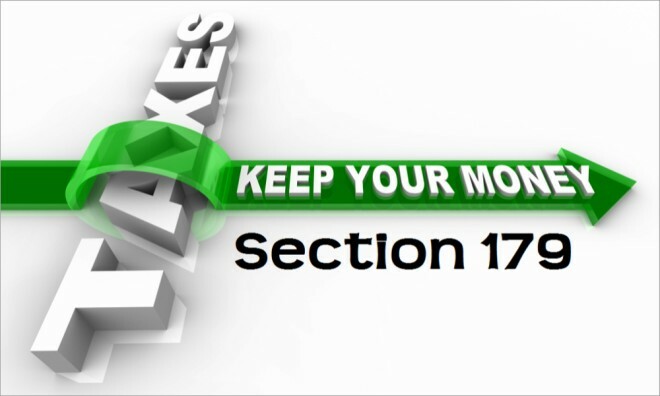 If you subscribe to our blog feed, you have most likely seen some of the many articles we have written pertaining to the Section 179 tax deduction. We like to keep business owners informed with the latest developments regarding this special tax deduction made available by the IRS. In 2014, the deduction limit on qualifying business property and equipment dropped to $25,000. There has been some discussion among policymakers to increase the Section 179 limit beyond $25,000, but nothing has been confirmed, and it most likely will not happen. This Apple Capital Group blog article provides you with an update on the Section 179 tax deduction for 2014. The American Taxpayer Relief Act expired at the end of last year, which means the increased Section 179 deduction limits are no longer applicable. However, from now through the end of 2014, you can deduct up to $25,000 worth of qualifying equipment purchases that you make in the calendar year. You can claim the Section 179 deduction on new or used equipment. Bonus depreciation, which was first introduced back in 2008, reduces the amount of taxes that businesses like yours are required to pay. The generous 50% bonus depreciation that applied to new equipment purchases expired on December 31st, 2013 and is no longer an option. The Section 179 tax deduction has been one of the most widely used tax provisions among business owners in all industries. Now that the deduction limit has been reduced to $25,000, capital equipment investing and year-end tax planning might prove to be a challenge. After determining what your equipment needs are, contact your tax advisor to find out the best option, and to ensure that your tax liability is minimized. Here at Apple Capital Group, we are currently updating our website’s Section 179 calculator and web pages to reflect the new $25,000 deduction limit. If you are in the market for new or used equipment, you can finance it and still take advantage of Section 179. Let Apple Capital Group provide you with an affordable equipment financing program today. Submit your online lease application to get started.